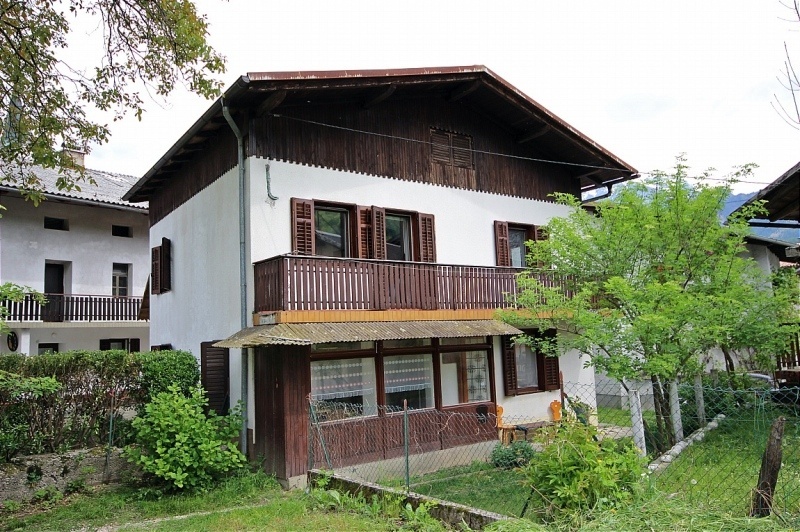 For sale: Detached house (127.20m²) with garden on 172m² of private land near Kobarid. Living space: 127,20m²; Municipality: Kobarid; Village: Svino; Province: Primorska; Built in: 1990. This is a detached home with three bedrooms and a garden in the popular village of Svino. Just a few minutes drive from the historic town of Kobarid. The ground floor consists of a spacious living room with fireplace, a dining area and a kitchen. On the ground floor is the bathroom, with bath/shower and toilet. The first floor consists of a hall, two large bedrooms and a smaller single room. Both bedrooms have access to a balcony. The garden is around the house and there is a parking space. The house would benefit from some adjustments, but it can be inhabited as it is. – Features of the area: Near the Triglav National Park / In the Soča valley / Near the river Nadiza / Near the town of Kobarid / Near Italy / Close to ski resorts / Numerous natural & historical attractions in the immediate vicinity.